Do Your Research: Once your trip is booked, it’s important to dive in and do your research. Will you be experiencing unsanitary conditions? Are you traveling to a country or area with a high risk of yellow fever, malaria, or other contagious diseases? Check for advisories and updates on government websites and schedule your travel vaccines and immunizations as needed to properly protect yourself. Always schedule your travel vaccines at least one month before your travel date. 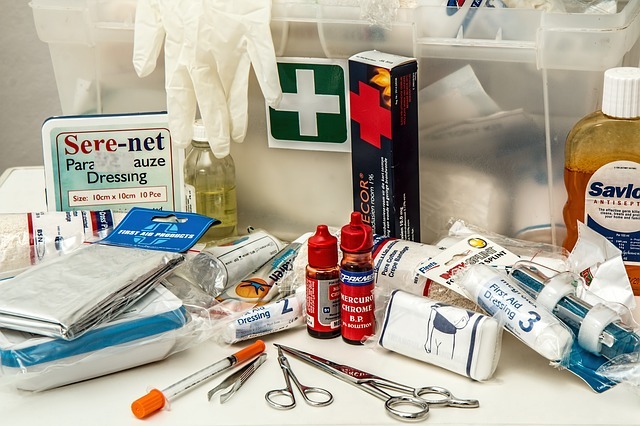 Stock a First Aid Kit: If your adventure involves camping, outdoor activities, or the exploration of undeveloped areas, don’t forget to pack a proper first aid kit. Having important items in case of emergency like bandages, bug spray, pain medication, motion sickness pills, and anti-bacterial ointment is essential. If you have allergies to bees or certain foods, don’t forget to pack an Epipen. Consume Water Carefully: If your adventure is taking you to a third-world country, be cautious when consuming water. Try to stick to bottled water for safety. Avoid ordering ice cubes in your drinks and if you’re enjoying a beverage like tea, order it hot instead of iced. If you’re not in a position to consume bottled water, be sure to bring along water purification tablets. If you live in the Chantilly, Virginia area and you’re looking for a top-notch clinic that offers travel vaccines and travel insurance, call HealthSmartVaccines today at (703) 961-0733 to schedule your next appointment. To find out more about their services and immunizations, be sure to check out their website.